About the book: Lana, a talented Ivy League artist, and Walt, a small-town farmer, couldn’t be more different. 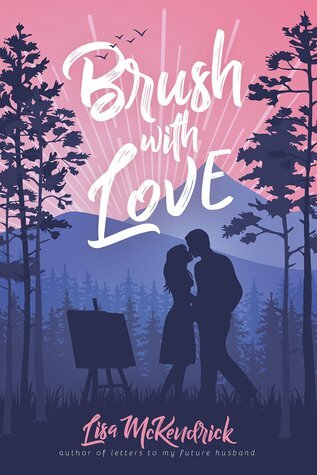 She arrives in Bluegill, Idaho, ready to spend the summer painting, excited to study under Walt’s grandpa, a brilliant but aging artist. The more she is thrown together with Walt though–and the more she spends time with him–the more she realizes her heart may be drawing up its own plans. As the weeks pass, Lana realizes she’ll have to choose between following her dreams or following her heart. My review: This book was so great! I loved Lana, in the first chapter of the book, you learn a lot about her and how she lives her life. She's at a beach wedding, but knows that kind of wedding isn't for her. Her best friend, Ingrid asks her what kind of wedding she'd have, but she doesn't ever really answer. She wants a wedding in a Temple, but she's a bit afraid to tell her friend about being a Mormon. I loved the way you see Lana change throughout the book. The girl who dances around questions like this disappears and a new girl takes her place. I like the way we see things from Lana's perspective in this book, but I couldn't help but wonder how Ingrid's perspective would be different. Or maybe even Walt's. I wish I could have seen inside his head sometimes. I thought the plot was well done. Lana thinks she's going to get one thing, but ends up getting thrown for a loop and ending up with such a completely different thing, she can't help but grow through the experience. I loved seeing her with LeVan, her kindness and compassion really come out around him. It was kind of sad though, the way she had to push Walt away to give LeVan what he wanted. I really enjoyed everything about this book, the plot, the setting, the characters, the story line. So great! About the author: Lisa Mckendrick has been published four times. Her most recent book was Letters to My Future Husband, which was published in 2015. Lisa is the mother of seven children and graduated from BYU with a Bachelor’s Degree and a Master’s Degree in English. Currently she lives in Florida.